Manila, Philippines – Vice President Maria Leonor Robredo on Thursday has urged the government to start planning how it could move forward in protecting the country’s sovereignty in the South China Sea. In a speech during a forum marking the second anniversary of the ruling in Makati City, Robredo warned that the gravest threat and most alarming challenges of the nation are the threat to Philippine sovereignty in the West Philippine Sea and the security of the Filipinos. "[O]f all the issues our country faces today, it is the threat to our sovereignty in the West Philippine Sea, and our people’s security, that is most grave and alarming. They make our current challenges much harder to bear," Robredo said in her keynote address in which she described China's encroachment on Philippine territory in the disputed seas as the "most serious threat to our country since World War II." Robredo said. Robredo also lamented the fact that whatever advantage the Philippines gained in the past through arbitral award started to lose. She urged the current administration to protest peacefully as effort to control the movements at least in the disputed waters. Robredo stressed that it was important for the Filipinos to know that efforts and remedies are being taken. "We want the world to know that, together, our nations can shine a path towards global peace, as advocates of the rule of law," she said. Sometime in 2016, President Rodrigo Duterte kept mum over the dispute and said that he would raise it at the right time. 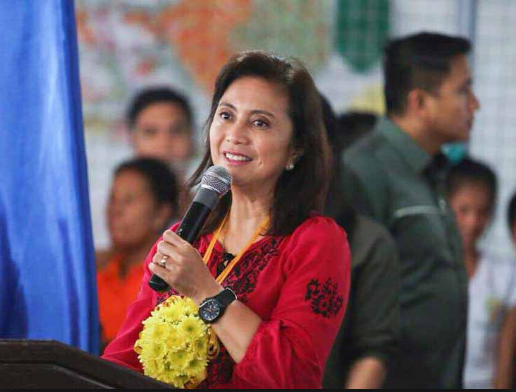 Robredo also cited the earlier report on a Television station showing that personnel of the Chinese coast guard were boarding Filipino fishing boats to get some of their prize catch. "Nobody deserves that, least of all our fishermen. Our country doesn’t deserve that. No country does," Robredo said.